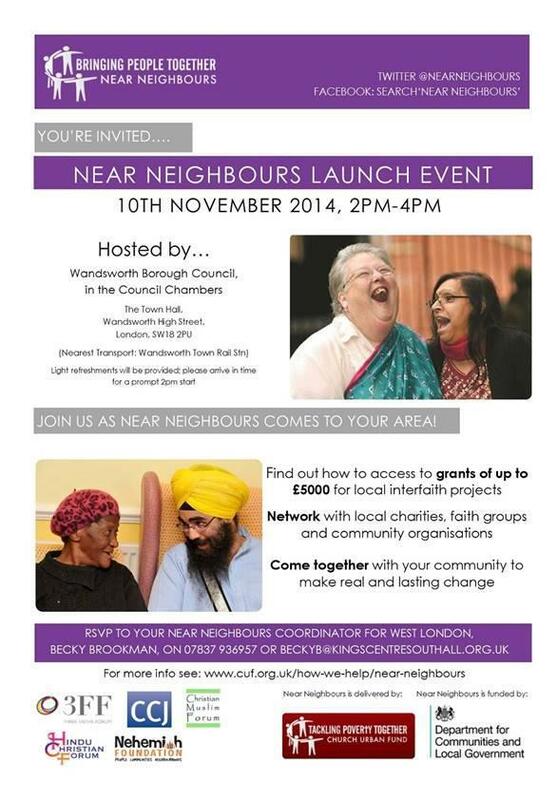 Phase Two of the Near Neighbours Programme (grants of £250 to £5,000 for local groups to develop relationships across diverse faiths and ethnicities) is launching in Wandsworth at 2-4pm on Monday 10 November at the Town Hall, Wandsworth High Street, SW18 2PU and in Brent at 2-4pm on Tuesday 18 November at Brent Civic Centre, Wembley, HA9 0FJ. 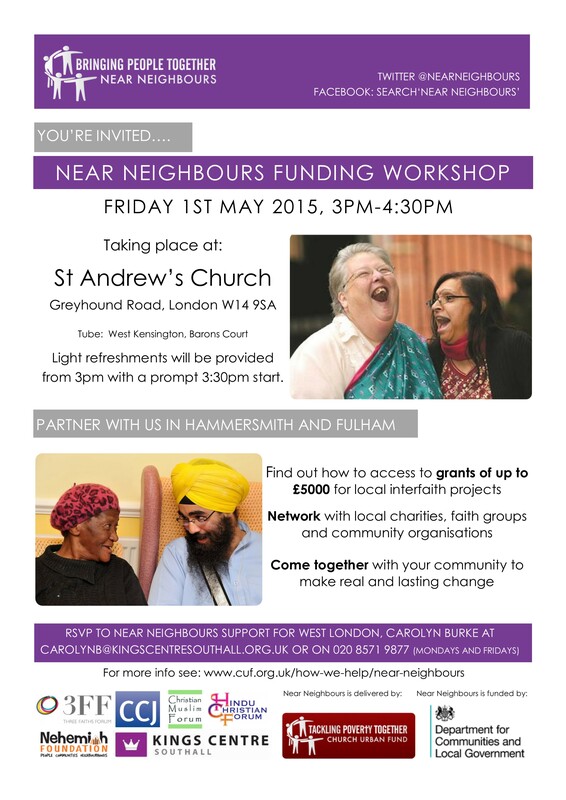 Becky Brookman, the Near Neighbours Co-ordinator for West London and parts of South London, is inviting all local religious and community organisations to attend the launches. Let her know if you are hoping to attend by ringing 07837 936 957 or emailing beckyb@kingscentresouthall.org.uk. This follows the publication by the Department for Communities and Local Government of Creating the Conditions for Integration last month. The document sets out the government’s approach to integration. 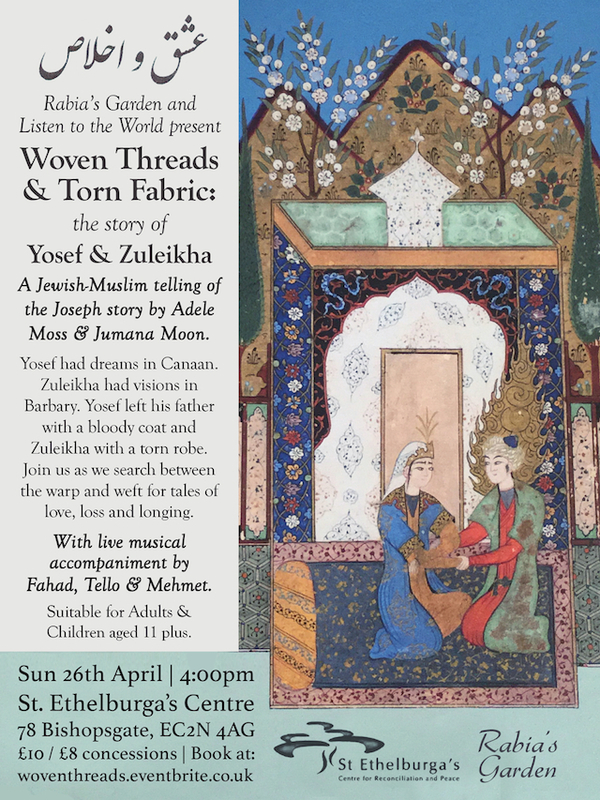 Discrimination and hate crime against Muslims and Jews are mentioned, as well as the positive role that the Faith-based Regeneration Network, the Near Neighbours Programme and the Inter Faith Network for the UK are playing. The promotion of economic regeneration by local authorities is encouraged, with a caution against the implicit endorsement of divisive groups by engagement or the use of public buildings. Shall we discuss this at our next meeting? 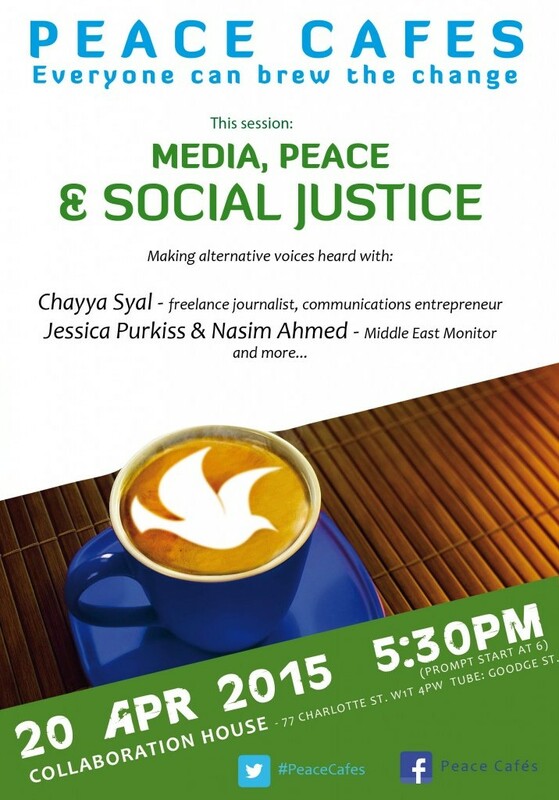 Who might be interested to hear the views of local multifaith groups? Who would you like to hear speak?